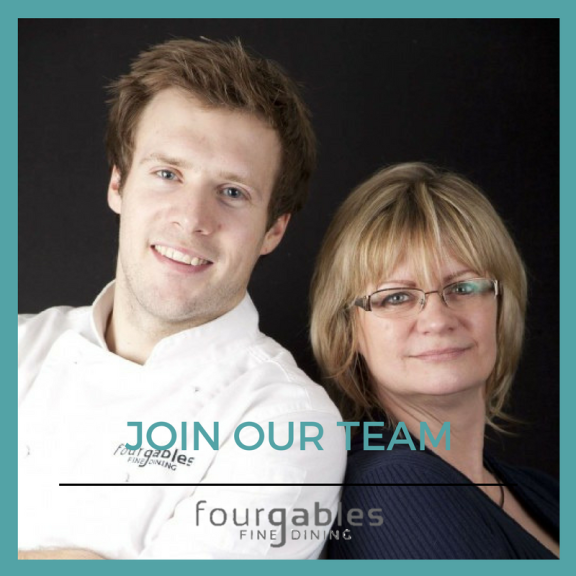 @FourGablesFood are looking to expand their team! Four Gables Fine Dining are looking to expand their team! Due to their continued success Four Gables Fine Dining are searching for an Events Manager to join their fun and friendly team. What skills will you need for the role? For this role you will need to be driven, ambitious, entrepreneurial, dedicated and most importantly ‘up for a laugh’. The team are serious about what they do but the team want to have a great time while they do! Four Gables Fine Dining are offering £23k to £26k plus bonuses. If you think you are the perfect candidate and would like to know more about this exciting job opportunity please contact Four Gables Fine Dining on 01372 275276.